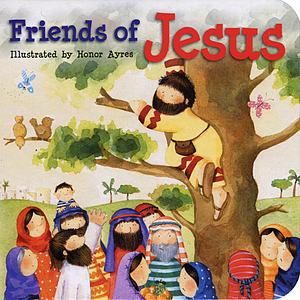 A beautifully written and illustrated board book to help young children learn about Jesus. Each section includes a short summary of a Bible story and a simple question related to the full-colour picture. In Friends of Jesus we find out about Jesus' disciples who left everything to follow Him; Jesus healing ten men from a skin disease; Zacchaeus; Jesus helping everyone who needed Him; and the woman who gave her last coin. Friends Of Jesus by Wright S a was published by CWR in August 2011 and is our 16838th best seller. 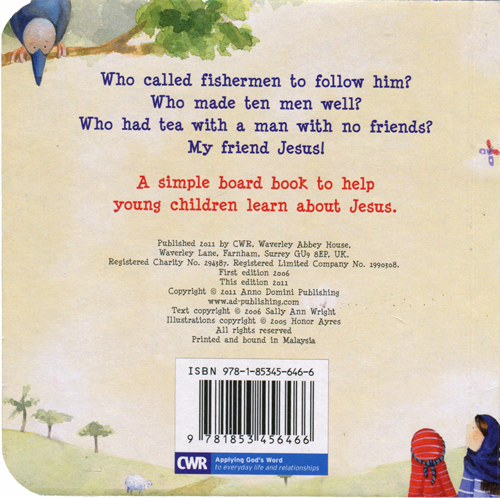 The ISBN for Friends Of Jesus is 9781853456466. Be the first to review Friends Of Jesus! Got a question? No problem! Just click here to ask us about Friends Of Jesus.